Let it never be said, Parousia was run haphazardly without a plan or some sort of accountability. Playing in a working rock-band was a lesson in team-work and cooperation, finding our strengths, delegating duties based on those strengths and then following through. The band had to find a way to do the impossible with little to no money but somehow, we managed to do it. The follow through was the most important part and often the most difficult for us. We had busy lives with work, school and the band. Often we would get home from gigs after 6:00 a.m. and have 20-30 minutes of sleep before getting up, going to class and then to our jobs. In the late evening, it was time for band practice or off to play a gig. The ‘band tasks’ were not confined to simply rehearsing, song writing and performing; we had many ancillary mundane tasks such as picking up the truck, repairing and replacing equipment, moving and organizing equipment (including props, sets, and wardrobe) picking up band mates in a working vehicle, creating advertisements, merchandise for sale and and keeping track of the finances. … Lucky for us, Patrick Connolly was a finance major. In late 1978 when Bob Lowden (bass), Garth Huels (guitar), Eric Scheda (keyboards) and Kim Watts (vocals, percussion) joined the band, we began our first significant year gigging in and around Western NY, playing mostly night clubs and schools. The band performed several times a month and it needed to have a consistent and practical way to keep track of the all the finances. Patt put together a ledger system of accounting for monies coming in and out for each show. The ledger began in 1979 and continued until the disbanding of ‘Jukebox’ in 1983. We posted it all here so you could see that playing in a rock band wasn’t all money, drugs and women. Our profit margin was razor thin, when we had one at all. In 1979 our biggest expense was truck rental and miscellaneous equipment rental. Eventually we acquired our own gear, but in the mean time we had to rent P.A. speakers, P.A. amps, Crossovers, EQ, etc. We often rented sound equipment from Gregg Filippone and John McGovern (John was employed by Uni-stage at the time). Lighting and special effects equipment (fog machine and flash pots) were rented from Lenny Krucenski and later after 1979, we rented from Mike Carroll. Most of the equipment was hand made by each of the aforementioned technicians. (All highly competent in their craft and sometimes a little crazy and dangerous). Other expense includes repair and enhancements to existing equipment, new equipment and routine consumables like guitar strings, gasoline and office supplies. Sometimes, we would buy instruments using band money if it was going to serve the good of the band. Like on March 14, 1979 when we bought Garth a sunburst mock Gibson Les Paul guitar. On March 2nd, we paid to have Barry’s telecaster overhauled with new pickups. On March 7th and 9th we bought garbage cans and fabric which became the majority of my portable drum-riser. Upside-down garbage cans acted as a base for a large wooden platform and then fabric was hung along the front and the sides to conceal the cans from audience view. From 1979-1982 we grew our audience in and around Western NY. We gave our friends and fans our own version of eclectic cover-tunes that highlighted the individual talents in the band, like for example the fact we had a flute payer allowed us to play songs by Jethro Tull, ‘Cross Eyed Mary’, ‘Hymn-43’ and ‘Locomotive Breath’. Garth Huels was a precise and flexible guitar player and could play most any riff out there, so we challenged ourselves by learning more difficult songs like ‘Hocus Pocus’ by Focus, ‘Sing Child Sing’ by Heart, ‘Long Distance Runaround‘ and ‘Perpetual Change‘ by Yes, ‘Abacab‘ and ‘Squonk‘ by Genesis, ‘Train Kept a Rollin’ by Aerosmith, “White Punks On Dope” by The Tubes, ‘Won’t Get Fooled Again’, ‘Behind Blue Eyes‘, ‘Pinball Wizard‘ and ‘I’m Free‘ by the WHO. … and the all-time cover-band classic, ‘Free Bird’ by Lynyrd Skynyrd. By 1981, the band was playing constantly, as often as three times-a-week. Patrick had to switch to a more precise method of keeping track of the monies coming in and going out. He also compiled statistics with graphs that revealed the big-picture of what we were earning and spending from month to month. Parousia’s first-quarter earnings for 1981 were not so good… As you can see by the graph our average revenue hovered just slightly above our average expense. From April – June 1981 the band earned $3,605.00 We paid out $3,304 in expense including: “former debts” (i.e. : paying off the Moog synthesizer), the truck rental (which was eating us alive at $845.00), the “head roadie” Dave Styn, paid $648.00 for his work running the sound board and organizing the other roadies. All “other roadies”; each paid $10.00 (or less) a night but it still added up to $343.00. Lighting tech and equipment at $590.00. $260.00 for booking fees. $122.00 for management fees. Barry earned $150.00 in gas expense for driving most of us to and from gigs and rehearsal. Add-in $75.00 for the purchase of two stylin’ bass scoops, (manufactured at the Music Mall by S.E.E. Music Repair aka: Dan Harfield) . Leaving us with a net profit of $225.00 for the first quarter. True, the profit was nothing to brag about but the money we earned did manage to pay for fixed expense in order to keep the Parousia train rolling. Toot toot! The band actually made some money in late May and early June, it happened when our shows were booked back-to-back. That allowed us to save money renting miscellaneous equipment and the truck. Dave Styn was getting $40.00 a night to be ‘head roadie’ and sometimes sound engineer. His brother Steve Styn, a ‘newbie roadie’, received the standard “grunt” pay of $10.00 a night. The same went for Keith Huels, (Garth Huels’ little brother) and other “grunt” roadies. If a roadie worked back-to-back gigs they usually got paid $15.00 each for the two nights. Mike Carroll, our sound man was paid $35.00 a night at first but later we increased it to $40.00. He had his own equipment and a helper that he was responsible for. Our booking agent, Buffalo Backstage (Mostly noted as ‘Rick’ on the ledger) was receiving 15% of our earnings on every gig. For example, when we made $400.00, Rick made $60.00. The band’s first show at Dad’s Cafe paid $230.00 to play from 10:00 pm to 2:00 am. Dave Styn ran the sound board and paid $40.00. Mr. Styn quickly arose to the esteemed position of “head roadie” which meant that in addition to lifting and setting up the equipment, he told the other roadies what to do and how to do it (as if). Mike Carroll, our lighting technician set up and ran the lights for $35.00 a night. Later, we bumped him up to $40.00. Mike was very clever when it came to ‘enhancing’ the electricity of any club we played in. Dave’s brother, Steve Styn was becoming a quality ‘road rat’ and despite the unending amount of work it took to put on and maintain the show, Steve kept coming back for $10.00 a night. We split the booking fee between Backstage Productions ($10.00) and Plus II ($20.00). Renting the equipment truck cost us $42.00 and Barry was paid $5.00 for gas to drive us to and from the gig. Total expense paid = $162.00. Net profit = $68.00! We could finally afford those bass scoops! The following weekend, April 24 and 25, the band was paid $400 to play at The Old Harmony Bar on Memorial Drive in Buffalo. Dave and Mike, (sound and lights) were paid $70.00 each . Steve Styn made a whopping $15.00 for both nights. Hey that’s at least two cases of beer, right? A newbie roadie called “Craig” earned himself $7.00 and someone by the name of “Jay” earned $10.00. $35.00 went to Eric and Barry for gas. $64 paid for truck rental and Backstage took $60.00. All in all, expenses totaled $331.00 for the weekend leaving us with a net profit of $69.00. May 1, 1981. Parousia’s first gig at The Starting Gate Cafe paid $225.00 for a Friday night. We didn’t have the usual roadies with us and were operating with a ‘skeleton crew’. We had sound man / “head-roadie” Dave Styn and light-man Mike Carroll. For this gig, musicians Eric, Gerry and Patt were paid $7.00 to do the grunt work. Rick from Backstage got his 15% ($34.00). We paid out $125.00 and took in $100.00. The Bachelor’s Den paid us $75.00 for Parousia to “do their thang” on May 2nd 1981, a Saturday night. That didn’t exactly put us in the green. Our head roadie, Dave Styn was paid $35.00 and our lighting tech Mike Carroll was paid $40.00. Hey, that’s $75.00 right there! Out of our savings we had to pay Steve Styn. Gerry was paid $10.00 and Barry $10.00. The rental truck cost us $80.00 but that expense was shared from the previous nights gig at the Starting Gate Cafe. So far, May 1981 had us on a “losing streak” when it came to making a profit. 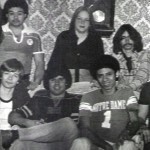 May 6, 1981, the band’s first gig at Graffiti’s night club (upstairs from Casa Di Pizza) on Elmwood Avenue earned us a flat $200.00 on a Wednesday night. Not bad, considering Wednesday wasn’t a party night especially since most schools throughout Western NY were still in session for the next few weeks. We had lots of support crew for this show, Dave Styn ($40.00) ran the sound and Mike Carroll ($35.00) ran the lights. Mike brought with him two friends to help us out and Garth’s brother, Keith Huels pitched in too. All three were paid $10.00. Backstage took their 15% ($30.00) and the big money went to pay rent at the Music Mall ($64.00) and the rental truck ($52.00). Expense totaled $291.00 for the night, leaving us with a net loss of -$91.00. On Saturday May 9th, 1981 the band was paid $300.00 to play at The Holland Willows in Holland NY on a Friday night. We paid out $236 in expense including yet another $50.00 to replace a blown-out driver in our high-end horns. They’d love to blow out at the most inopportune times and we couldn’t even scrape together the money to buy a spare. Backstage Productions sucked out their usual 15%, ($45.00) for booking the show. At least, this time we made a profit of $64.00. Parousia’s next show was at The Old Harmony Bar on Thursday May 14th, 1981. The club was located at 28 Memorial Dr. Buffalo, NY. The band was paid$175.00 only so we had to real careful with costs. (We eventually squeezed another $65.00 out of the club but it took us two months to get it!) Dave Styn was paid $40.00 for his duties as “head roadie” and to run the sound. Light-man Mike Carroll took his usual $35.00 to run the light-show. Mike’s friend Steven was paid $10.00. (Steven became a regular with us fthroughout the summer). Garth’s brother Keith Huels was paid $10.00. We picked-up a new roadie dubbed, “Bob’s friend” and was paid $5.00 for his efforts. Luckily, the truck cost was deferred until the next gig at the Eagles Roost on May 16th. Backstage Productions cut their fee down to from 15% to 10% ($17.50 only). The nightly expense totaled $125.50 and we made $47.50 this evening. As the shows went on through spring and summer, the band picked up extra roadies. All were friends of friends who for some reason wanted to hang-out with a rock band. They didn’t mind lugging ‘this or that’ back and forth from the truck to the stage for a couple of bucks. Each were paid $10.00 for their valuable roadie services. On the gigs that were an especially long drive from Buffalo, certain band members (with their own cars) were reimbursed expense for gas. Barry was adamant about having his money for gas and maintenance. Smart Guy! On rare occasion, band members would get a cash tip from customers who thought our rendition of their favorite song was especially worthwhile. (Barry got a $5.00 tip once for singing Free Bird). Any extra money earned would go into ‘the pot’ to pay for expense and that included tips. Even rarer, sometimes band members would get paid as roadies IF they showed up at the practice place to load the truck. Unload the truck at the gig. Assemble and place the equipment on the stage, plug it all in, then run cables to the sound board. Next, get ready to play three sets of music and (hopefully) an encore. At the end of the night, break the equipment down, pack it up, load it onto the truck and then head-back to the practice place to unload… all that would get you $10.00! As you can see the expense was fairly consistent but our earnings were “all over the place” – – some nights we were earning $300, other nights $200 or below. Running the band was like a Junior Achievement project on steroids. Check out an expense that appears on May 21st, 1981, Dad’s Café. We paid $20.00 to replace the tape cartridge for a Maestro’s Echoplex. A neat little analog tape-loop machine from the 1970’s that made vocals and instruments very spacey sounding. You could loop up to three and a half minutes as I recall. 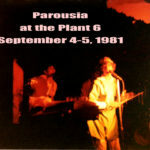 May 16, 1981, Parousia’s first show at The Eagle’s Roost in Olean NY. the band was paid $225.00 but it wasn’t enough. Our expense for the evening totaled $276.00. That left us short by $30.00. The truck rental cost alone was $137.00. Backstage took their 15% ($34.00) We had only one roadie to pay, Dave Styn the “head roadie” working the sound board as one of his “head-roadie” duties and he was paid $40.00. Mike Carroll was there to set-up and run the lights ($40.00) but for the most part, the musicians were the roadies for tonight’s show. Parousia’s return to Dad’s Cafe on Thursday May 21, 1981 paid $200.00. Dave Styn (sound) and Mike Carroll (lights) were paid $40.00 each. Roadie’s Keith Huels and “Bob’s friend” were paid $10.00 each . The rental-truck cost was deferred ’cause the band was performing again tomorrow at New York, New York on Harlem road. Backstage Productions (Rick) took their fee of 15% ($30.00) and besides the usual gasoline expense, we had to pay off Dave Maltbie, (Parousia’s ex-keyboard player and part owner of the Moog Sonic Six synthesizer). Since Dave wasn’t in the band anymore, we had to slowly pay off his interest in the synth. Oh, and we had to buy a new tape cart for the Maestro Echoplex. Not cheap at $20.00 a pop! 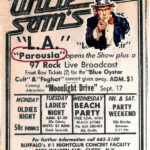 Parousia’s first show at New York New York on Harlem road in Buffalo, NY n Friday night, May 22,1981 paid $200.00. We rolled into the club with a large entourage. Dave and Mike on sound and lights, plus our ‘regular roadies’, Keith Huels, Steve Styn, Steven (Mike’s friend) and the mysterious “Bob’s friend”. All roadies were paid $10.00 each. Our expense totaled $291.00 including the truck rental of $141.00. The truck expense was a split between tonight and last night’s gig at Dad’s Cafe. Patt was using the truck for personal reasons on Saturday to help move his Mother. He pitched-in by paying $40.00 and with that, it was like we were paid $240.00! Still, we came up short $51.00 for the night. Most of the small to mid-sized clubs were paying the band between $200 – $250 a night to play from 10:00 pm – 2:00 am. Ah-h-h, how we looked forward to “the cream of the crop” gigs that paid us $500 like the one on June 5th at Calasantius high-school. A small exclusive school comprised of gifted students, a virtual think-tank of talent (and they chose to have Parousia play for their school three-years in a row!) I guess the smartest kids in Buffalo know which band is the best in town. The $500 gigs didn’t happen too often, but when they did, yeah baby! We were eatin’ pizza tonight! As you can see in the ledger below, at the June 5th gig, we really did buy pizza for the band and crew and it cost us $33.00 ($33.00 bought a lot of pizza back in 1981). I think the pizza came from Bocci’s, where Eric Scheda worked a side job. From a financial perspective, we preferred bookings at high-schools and colleges. They paid between $400.00 – $500.00 a night for us to perform there. The night clubs would rarely pay that much up front, you had to earn it by bringing in paying customers and negotiating for a percentage of the door. It wasn’t easy. On May 29th and 30th we played at Lou’s Inn, Westfield, NY. It was 62 miles away from Buffalo and South of Fredonia. This gig was the ‘straw that broke the camels back’ for our singer Kim Watts. She quit Parousia because she didn’t think it was worth it for us to play so far out of town. We put it to a democratic vote and the majority chose to do the gig… so away we went without Kim, who never performed with us again. Turns out, she was right about Lou’s Inn… I won’t go into any specific horrors, you can check-out all of our harrowing tales on the Lou’s Inn page https://parousiabuff.com/shows/lous-inn-westfield-ny-friday-saturday-may-29-30-1981 At Lou’s Inn, we were paid $200 for two nights… not much at all for a 62 mile hike out of town! The truck rental alone cost $131.00. We came home broke and feeling like we had been punched. And we were stuck paying for a crap load of equipment repairs due to a number of mishaps. on June 20, 1981.The Eagle’s Roost in Olcott, NY paid us $250.00 to perform on a Sturday night. Our expense for the night totaled $237.00 leaving us with a razor thin profit margin of $13.00. We had Mike Carroll run the light show and we had three roadies including Dave Styn,“head roadie” and mix, Steven (Mike Carroll’s friend) and Keith Huels. The rental truck was killing us on these long road trips to play a ‘one-nighter’. The truck rental all by itself cost $94.00, almost one-third of our entire pay for the night. On July 1st the band was booked at the premier gay night club in Downtown Buffalo called City Lights. 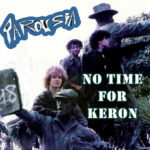 Parousia was paid $250.00 to perform on a Wednesday night and played from 11:00 PM to 2:45 AM. Assisted by the hearts and minds of four roadies plus Mike Carroll on lights. For some reason, Garth Huels was paid exactly $1.00 and Gerry was paid $5.00 (reimbursement for a new drum head maybe?). Rick at Backstage took his 15%, ($38.00) and the rental-truck was $47.00. We decided to “splurge” a little when we enhanced our light show with the purchase of a rotating gumball light for $40.00. At the end of the day, our expense for the evening totaled $233.00 leaving us with a profit of $17.00. On July 3rd, we played a concert in Riverside Park for the 21st Ward Independence Day celebration. It was one of our better outdoor gigs although we were paid no money to do it. The 21st Ward provided us with a time-slot and a stage and… that’s it. We hired John McGovern to set up and run the audio board and Mr. Mike Carroll to run the lights. John and Mike worked the sound and light board on the top of a 14′ U-haul truck that we parked 50′ feet from of the stage. John let us ‘borrow’ some P.A. equipment for the gig which was sorely needed when playing an outdoor concert. In the end we had one of the loudest and best shows ever! Fans rushed the stage and one of then said that they heard us across the river in Ontario, Canada. How’d ya like that, eh hosers? Speaking of Ontario Canada, on July 25th we played at a place called the West Side Arena in Port Colborne. It was the largest venue we played to date. A full sized ice hockey arena. We were paid $462.00 and had a ton of expense. We had to rent a lot of extra gear to fill up the place with our sound. We played an “end of summer” gig on August 1st at the Eagles Roost in Olcott, NY. That club was just about 100 feet from the lake. It was at the end of a strip that came alive in the summer with an ice cream shop, a place to play video games, plenty of food stands and a bar that hosted rock bands from the big city, like us. Playing there on a summer night was perfect. It was like taking a vacation and getting paid for it. Later that month on August 15th, we had to trek out to Darien Center NY to play a Friday night at a club called the Hideaway. The very next night on Saturday the 16th, we played at the Melody INN in Jamestown, NY! The truck rental alone for both nights cost $154.00. Five days later on Thursday, August 21 we were booked to play Holland NY at the Holland Willows. A club with a stage and a bowling alley! Who could resist? The problem was that we were playing too away from Buffalo too often and the travel expense was making it impossible to net a profit. Most of the out-of-town clubs paid exactly the same as the Buffalo clubs and we just had to eat the extra-expense of getting there and back. The next night after Holland, we were back in the city of Buffalo at NEW YORK NEW YORK, at 935 Harlem Road; we got paid only $200.00. The expense for that one show cost us $240.00 and the loss was compounded when we had to pay another $140.00 on top of that for speaker repair. Our second Quarter earnings July- Sept. 1981 showed that we pulled in $5,477.00 in revenue. Our total expense totaled $4,975.00 for a total profit of $502.00. With that we bought a DOD 31 band equalizer for the P.A. it cost us $230.00. On August 28th we closed out the month playing an all age show at “The Teenage Hotspot” for $250.00 and we actually made money. We had a rare appearance from sound engineer Jon McGovern who ran the board for $30.00. Mike Carroll ran lights for $40.00. Dave Styn, our “head-roadie” was paid $20.00 and his brother Steve Styn was paid $25.00. We had three more roadies, Keith, Keith’s friend and Tom Miller. Each were paid $10.00. The truck rental was $40.00 and Backstage took 15%, $38.00. and Barry was paid $5.00 for gas. Expenses totaled $228.00, so we made a whopping $22.00 for the night! Parousia was on a high-note. On Thursday September 3, we had our infamous 97 Rock Live Broadcast from one of the largest and most popular music venue in the area, Uncle Sam’s. We were paid only $75.00 to do the show but money wasn’t the point of this gig. The name of the game was exposure and being broadcast live on one of the hottest stations in town! We were opening the show for a group out of Ohio called, L.A. The next two days, Friday and Saturday we were paid $500.00 to play a weekend gig at the Plant-6 in Kenmore, NY. Gregg ran sound both nights and was paid $100.00. Mike Carroll ran lights and was paid $80.00. The next biggest expense was the truck, $92.00 and Backstage’s cut for booking the gig, $76.00 The total expense for our weekend at Plant-6 was $478.00, so we made a clean $22.00 profit. We powered all though the month of September which included another encore gig on Thursday, September 10 at Uncle Sam’s for $100.00. Putting aside money as a motive, we did the show for the exposure. This time we were opening for the Beez,our arch rivals. At the end of the night, we were in the red only $26.00 which was a good outcome considering we had to pay four roadies, Gas for Steve, gas for the truck. Our good friend and long-time audio engineer John McGovern came out to run the sound board and took only $10.00 as pay! We also spent $50.00 on something listed as “materials”. (Other than drugs?). One week later the band set-off on a weekend road trip to Jamestown NY. On Friday night we were booked at the Rusty Nail and then on Saturday at the Wooden Nickel in Olean, NY. Our plan was to stay overnight in Jamestown at a (cheap) Motel, then drive up to Olean on Saturday afternoon. It cost the band $50.00 for the Motel room plus another $150.00 for the two-day truck rental including mileage. We were starting to build an audience with the out-of-town fans and so we felt that we deserved to at least break-even when playing so far away from home base. We started to complain to Backstage about the mileage and the cost of this ‘long-distance runaround’. Lo and behold our complaining paid-off a bit. Our pay was raised to $350.00 a night for some of the far-away gigs! The following week, we played more back-to-back shows beginning on Friday, September 25 at “the Kinfolk Corral”, way out in Franklinville, NY. The words on the marquee outside the club read, “family fun country style“. Now… Parousia didn’t quite classify as a “country music band” and not surprisingly, we weren’t that well received, (except for our cover songs, “Cat Scratch Fever ” by Ted Nugent, “Can’t You See” by Marshall Tucker and of course, “Free Bird” by Lynyrd Skynyrd). Exactly why our agent booked our band at the Kinfolk Corral remains a mystery to this day. Maybe it had something to do with being paid $350.00 a night? That was about $100 more than most clubs were paying us… Gregg Filippone came out to run sound, so at least we knew we sounded good for these hicks! Although the band went over like a led balloon with the audience, we turned a profit of @ $43.00, net of the shared truck cost for tomorrow’s gig. On Saturday September 26, we were back in town at the Plant-6 in Kenmore NY. Finally a gig close to home where local fans had an opportunity to see us. Local sound engineer Gregg Filippone joined us to run the audio that night. We were paid $150.00 but the expense totaled $216.50 even after the truck cost was shared with Friday night’s gig, we still ended up in the red $66.50. We started October 1981 by playing a weekend gig at the Plant-6. The band and roadies loved the ‘in-town’ weekend gigs. We could actually leave our most of our gear set up in the club and all we had to do was show up the second night and play. Next, on Thursday October 15, we were out to Niagara Falls, NY to play at Shutters and Boards. On Saturday October 17, we played locally at The Starting Gate Cafe on Seneca Street in South Buffalo. They paid us $250.00 to play there and Gregg Filippone came out to run the sound and was paid $50.00. Mike Carroll on lights was paid $40.00. Dave Styn “head-roadie” was paid $20.00. The “common roadies”, like Keith, Randy, Tom and Paul were paid $10.00 each. Trunk rental cost us $54.00 and Barry got $5.00 for gas and Eric got $10.00. Back stage took their 15% ($38.00) and we paid $8.00 for something called “materials”, H-m-m-m-m-m… All in all our expense totaled $265.00 and the night was a $15.00 loss. On Saturday October 24, Parousia headed out on old route 19 in Boston Ny to perform at the Shady Grove The club just started booking rock bands in October 1981 and Parousia was the second rock band to perform at the Shady Grove. We were paid $300.00 to shlub or way out to Boston, NY. Gregg drove out there to run sound and we paid him $60.00 including his gasoline expense.”Dave and the Roadies” collectively were paid $50.00. Barry got $10.00 for driving us to the gig. The truck rental was $63.00 and Backstage took $45.00. Expenses totaled $268.00, so the night was profitable, we made $32.00! We started November by playing a Thursday at one of our favorite clubs in Buffalo, Dad’s Cafe on Clinton Street. We were paid only $200.00 but our expense totaled $157.00, so we actually made $43.00 profit. 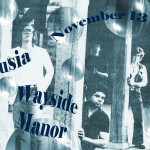 Then we began a ‘three-day gig-fest’ starting on Friday and Saturday October 13 and 14, we were paid $450.00 to play both nights at the Wayside Manor on Genesee St. in Alden NY. Our expense totaled $310.00 for the weekend and we ended up ‘in the black’ with $140.00. The next night on Sunday, we hiked out to the Wooden Nickel in Olean, NY and were paid $300.00. Gregg drove out and we paid him $60.00 to run sound (a little more than normal for the gas). The truck expense (including all three nights) cost us $148.00. Our total expense was $398.00 so we actually lost $98.00 at the Wooden Nickel, but we were up $42.00 for the entire three-gig weekend after all expense was paid. On Thursday, it was back out on Old Route 219 to the Shady Grove in Boston NY, to earn $300.00. Dave Styn “Head Roadie” ran the sound board and was paid $40.00. Mike Carroll, our fearless light-man was paid the same. We had five roadies, paid $50.00 each and Steve Styn drove most of them, so we paid him $13.00 and Barry drove the rest so we paid him $10.00. The truck rental cost us $80.00 because of the miles from Boston to Buffalo. Backstage took their 15% cut, $30.00. How did it turn out? Our expense for the evening totaled $273.00. Leaving us with a cool $27.00… watch out McDonald’s, here we come… no seriously. On Saturday November 28, we ended the month playing Thanksgiving holiday weekend at Plant-6 in Kenmore NY and were paid $250.00. We had a great crowd… Gregg Filippone showed up to run sound and we paid him $50.00. …We had the usual expense and thought we might at least break-even but disaster struck and we had to pay Barry $135.00 for car repair. On top of that it was time to pay $55.00 monthly rent for our rehearsal studio at the Music Mall. Our total expense for the night was $438.00 leaving us with a net loss of $188.00. Ouch! We started December playing at a hot new rock club called The Fire Side Inn on Haskel Road in Olean, NY. It was a far drive for $260.00, but they had some of the best bands playing there so we didn’t want to turn it down. We also wanted to sound really good, so we hired Gregg Filippone to run sound and paid him $50.00. We had to rent a car for the show and that cost $43.00 plus $103.00 for the truck rental. Unexpectedly, we had to pay $67.00 for “repairs”. All in all the expense for us to play at the Fire Side Inn totaled $393.00, for a net loss of $133.00. Not a great way to start December. On Thursday, December 10th, we were paid $225.00 to come back to play at one of our favorite clubs , Dad’s Café on Clinton Street in Buffalo. The place was packed and we managed to earn a $20.00 profit! Our expense for the night totaled $205.00. (We kept it “on the cheap”. We used only half a P.A. at Dad’s). Our “head roadie” Dave Styn ran the sound board for $40.00 and the local truck rental cost us $45.00 only. Two days later on Saturday night, we were paid $300.00 to play an encore performance on December 12th at the Shady Grove, Boston NY. We hired Gregg to run the sound board and paid him $55.00 (He was paid an extra $5.00 for gas). We had to rent a van and that cost us $50.00 including gas. The truck rental cost us $71.00 and for some reason, we had to pay Barry $100.00, plus $15.00 for gas! The roadies made $50.00 (Five at $10.00 each). Total expense for the evening, $411.00. That landed us $111.00 in the red. Sunday December 27, the band was booked at the Wooden Nickel in Olean NY for $300.00. We hired Gregg (again) to run sound and paid him $60.00 (an extra $10.00 for gas). The truck rental cost $97.00 and the van rental cost us $50.00. After paying the roadies $50.00 and Backstage Productions $30.00 (They temporarily lowered their cut from 15% to 10% due to our poor financial situation) we were still in the red $42.00. Our remaining account balance fell to $43.00… not even enough to cover next months rent. Our third Quarter earnings were “slim” to put it nicely. We earned $4,885.00 from October through December and paid out $4,859.00 in expense, leaving us with a net profit of $26.00 for the quarter, plus $995.00 in former assets. We ended the year on December 31, playing a New Years Eve show for $570.00 at The Shady Grove on Old Route 19, Boston NY. Gregg FIlippone came out to run sound that night and disaster struck when he draped the band’s microphone snake over the furnace, which was cold at the time but it wasn’t long before we had cooked snake. It was completely ruined and microphone snakes were not cheap! It wasn’t Gregg’s fault, he fully intended on moving it off the furnace before it was turned on, but none-the-less what was done was done. We had no choice but to send ‘head roadie’ Dave Styn back out on the winter holiday road to retrieve Gregg’s microphone snake at Gregg’s house in Buffalo. Dave was not happy about that! Obviously, our costs were high for this show. We paid Backstage their $60.00 cut (a little more than 10%). $81.00 was paid for the truck rental out to Boston. $160.00 paid for all roadies (including sound and lights) and $13.00 for something titled “newspaper” (a pseudonym for women or drugs maybe?). When all was said and done, the night cost us $339.00 in expense leaving us with a record profit of $231.00… It was a good way for Parousia to start 1982, the new year. Our first gig in 1982 was on the 7th of January. The band was paid $325.00 to play on a Thursday at a new club called the Sundown Saloon on Route 16 in Chaffee, NY. Many other top local rock acts were playing here, like Actor, Tarkus, Cheater, Fat Brat and the Vincent Michaels Band. We just decided to buy Mike’slighting equipment. MIke no longer had the time to make the gigs, but Garth’s brother Keith agreed to run the show and all we had to do was buy the lights, stands, clamps and switchboard. We would pay it off gig by gig paying the usual rental price, but now it was rent to own. If that wasn’t bad enough, we also bought a spotlight from Keith Gregor and that cost us $200.00 that we would pay-off in two installments. The first payment of $100.00 from tonight’s earnings. We also had to rent a van (again) and that cost us $35.00, on top of the $62.00 paid for truck rental. Expenses totaled $380.00 which left us $55.00 in the red… but we were on the way to owning our own spotlight which really added to the show. Still, we were a little uncertain if we could afford it all. I don’t know if it was luck or what, but our next show on Saturday January 16, were paid $450.00 to play at the Hilton Hotel on the waterfront in downtown Buffalo for Amherst Central High School. How could we not make a profit?? Well, we almost didn’t. We blew out two diaphragms in the high-end horns and it cost $100 to replace them both. Then we had to pay-off the spotlight we recently purchased and that was another $100.00. At the end of the day, expenses totaled $412.00 leaving us with a small profit of $38.00 for the evening. On Thursday, January 21st we were back at Dad’s Cafe on Clinton St. in Buffalo. We always pulled in a good crowd at Dad’s and tonight was no different and the place was packed… and we were paid our usual fee of $225.00. Gregg ran sound and we paid him $20.00 instead of the usual $50.00. The $30.00 off-set was a partial pay-off to us for the cost to repair the band snake that was accidentally fried on News Years Eve at the Sundown Saloon. the collective ‘roadies’ were paid $60.00. We started paying Keith a little more ever now that he took over lighting-tech duties from Mike Carroll. Starting in January, the band purchased Mike Carroll’s light show and Keith Huels was designated to set up the light gear and run the light board. He wasn’t thrilled about it, but then again, he wasn’t thrilled with anything… it was just his way i guess. It was time to pay the rent for our rehersal room at the Music Mall and that was another $55.000 out of tonight’s profits. Then, we blew yet another diaphragm in the high-end horns… We spent over $200.00 in the past six-months on replacing those [email protected]#$% diaphragms… We couldn’t figure out why they kept blowing! Anyway, our expense ran $302.00 for the night, leaving us with a net loss of $77.00. The final gig recorded on the ledger was an all age show at the Hamburg Skating Rink in Hamburg, NY were we were paid $350.00. Expenses were still low, we had just paid-off what was owed for the lighting equipment, the balance was $20.00 only. Keith Gregor still owed us a credit on the truck rental for all the mishaps… all in all the expense for this show totaled only $193.50, and we were ‘back in black’ to the tune of $156.50. After this gig, Parousia went on to play five more shows in 1982 and then broke-up over the stress of finances and and the exhaustion that goes along with putting on a show night after night with a six piece band playing progressive rock. Four band members from Parousia reformed as a Top-40 band called Jukebox in an effort to make some money playing music. Jukebox lasted about nine-months before disbanding to reform the new Parousia. This time, the band would be writing and performing their own original songs only. No more cover songs by other artists.